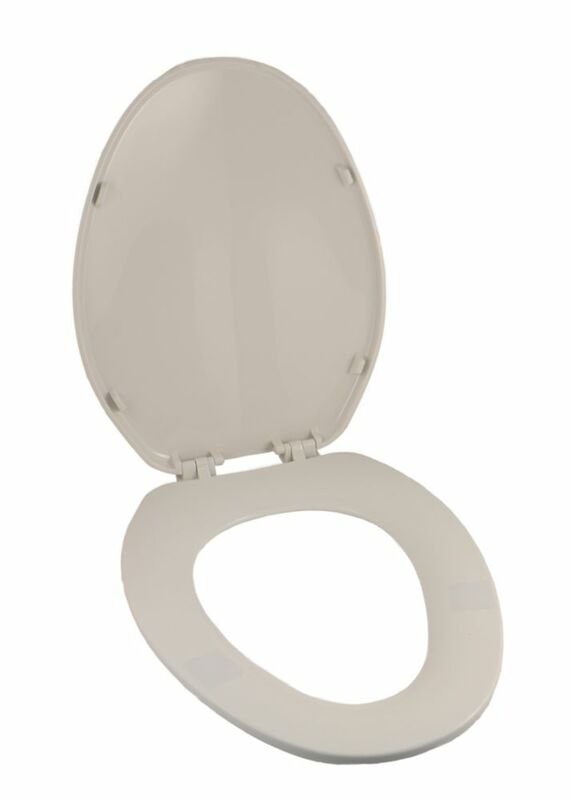 Made of high density polypropylene, JAG's universal toilet seats fits a large variety of elongated bowl toilets. Available in white, with matching lid. The LumaWarm Heated Nightlight Toilet Seat from Brondell offers the luxury and comfort of a heated seat with the added convenience of an illuminating LED nightlight. With the LumaWarm, you will be guided at night by a soft, illuminating glow to a soothing heated seat set to your personal temperature preference. With three temperature settings, the seat is comfortable all year round, while the elegant, built-in LED nightlight offers long-lasting energy efficiency and is controlled by a simple on/off button. The LumaWarm quickly and easily replaces any existing toilet seat and is adjustable for a perfect fit on any standard fixture, featuring a gentle-closing seat and lid crafted with exceptional quality and style. Traditionally designed to complement classic bathroom dicor, the Glenbury elongated toilet seat also offers the comfort of ergonomic contouring, as well as highly functional solid polypropylene construction. Also available in store by special order only see store for details.